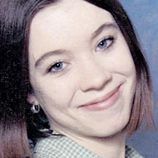 It’s been 11 years since Amber Lynn Smith’s disappearance and murder, but investigators continue to search for her killer. Guadalupe County Sheriff’s Investigator Sgt. Craig Jones and Investigator Robert Murphy are working to find justice for Smith, and giver her family closure. To contact Jones or Murphy call 830-379-1224, call the Seguin Police Department at 830-379-2123 or those wishing to remain anonymous can leave a tip through Guadalupe County Crime Stoppers at 877-403-TIPS (8477) or www.gccsTIPS.com or Text “GUADALUPE plus your tip” to 274637 (CRIMES).